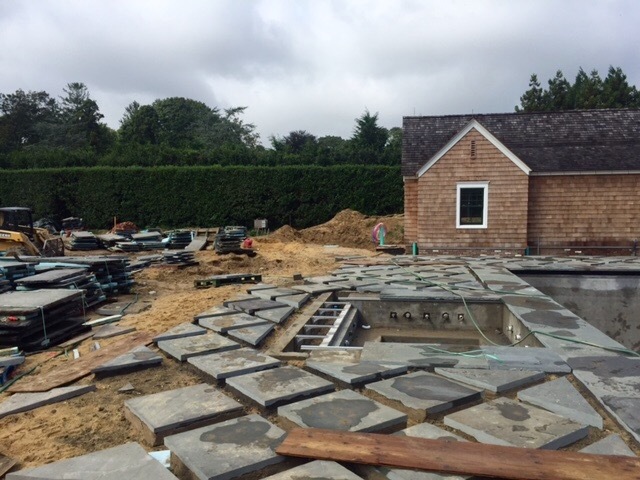 New England Architectural Center supplied the reclaimed bluestone for the pool and English garden terrace for this special Hampton’s hideaway. The pool coping of reclaimed bluestone was specially cut to a perfect 2” thickness and the 2 ½ foot squares were cut from larger stock of reclaimed stone. We can facilitate magical applications with the most beautiful and rare stones ever harvested from the 1800’s. 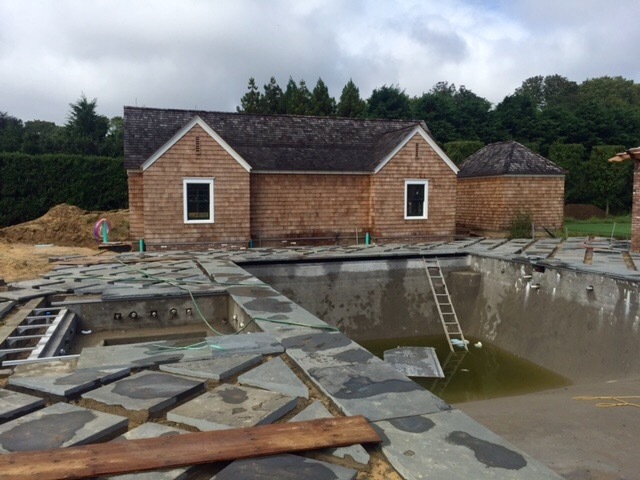 New England Architectural Center in Tiverton, Rhode Island has a vast inventory of reclaimed bluestone. Check out more of their inventory here.